University of Tor Vergata offers you a chance to learn italian with CLICI – Center for Italian Language and Culture of the University of Rome “Tor Vergata” . CLICI promotes the diffusion of Italian language and culture through cultural and educational initiatives (conferences, congresses, courses, etc.) and offers Courses in Italian language and culture both to Tor Vergata students and to foreigners from all over the world. The CLICI is an autonomous section of CLA (Tor Vergata Language Centre) based at Campus X, and is directed by Prof. Florinda Nardi, vice-director of CLA. CLICI organizes extensive and intensive Italian language courses throughout the academic year and also provides courses for international projects. The Centre is also responsible for the training of teachers in synergy with the postgraduate specialization course “Insegnare Lingua e Cultura Italiana a Stranieri – LCS” (Teaching Italian Language and Culture for Foreigners), organized by Scuola IaD. The CLICI organizes extensive Italian language courses (60 hours) for foreigners from October to December 2018. Lessons will be held twice a week from 5 pm to 8 pm. 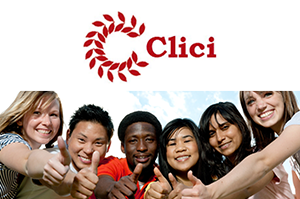 Students who received the certificate of one of the Italian language courses of CLICI held in the period March-June 2018 are required to write an email to info.linguaitaliana@uniroma2.it by September 25th, 2018 indicating the name of the teacher and the level of the course they attended. Therefore, they are not required to complete the online procedure in order to register.